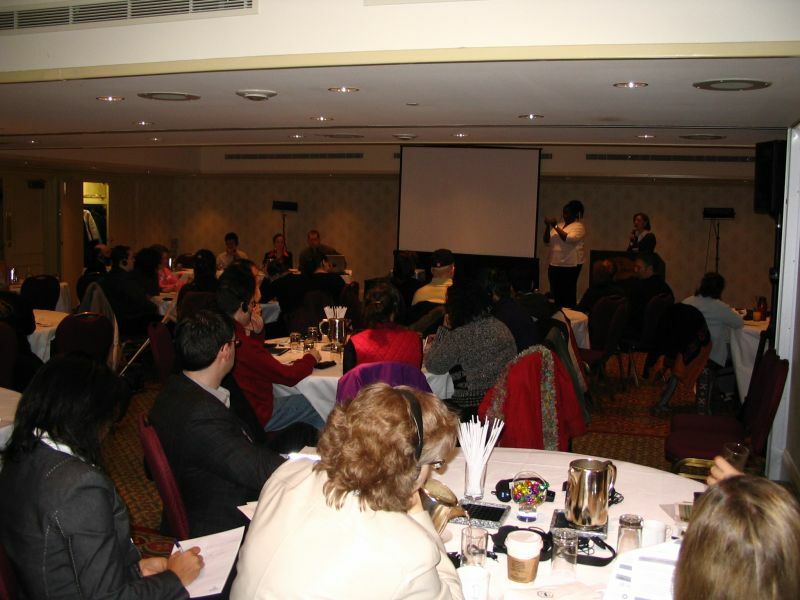 On March 18th, we held our fourth Job Search Strategies Forum at the Sheraton Centre Hotel. Approximately 75 participants joined us for a very productive day, which included workshops, an exhibit area, and one-on-one consultations with instructors and career counsellors. The students in attendance represented several schools from Québec and a few from Ontario: University of Montréal, McGill University, Concordia University, George Brown College, Cégep du Vieux Montréal, Dawson College, Cégep de Trois-Rivières, Champlain College, University of Québec in Montréal, University of Sherbrooke, University of Ottawa and John Abbott College. 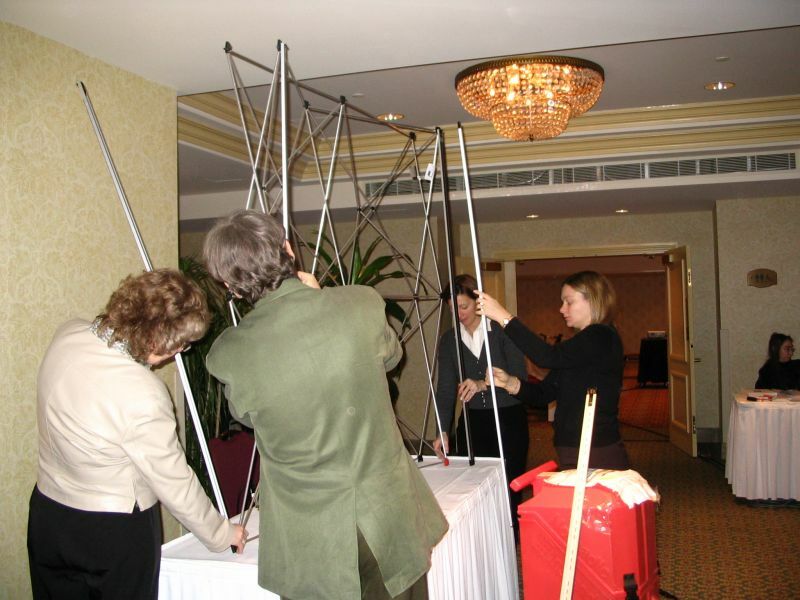 Exhibitors included: Alliance for Equality of Blind Canadians, Association des paraplégiques du Québec - Mode d'emploi, BMO Financial Group, Montreal Metropolitan Independent Living Resource Centre, Quebec Association for Post-Secondary Students with Disabilities, RBC Financial Group, Sphere-Quebec. 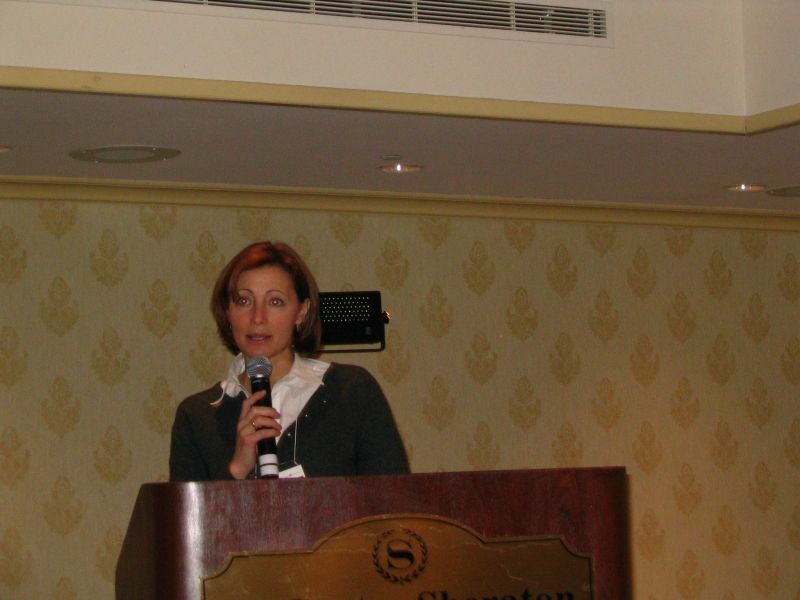 Jennifer Dillon welcomed participants on behalf of the National Educational Association of Disabled Students (NEADS). 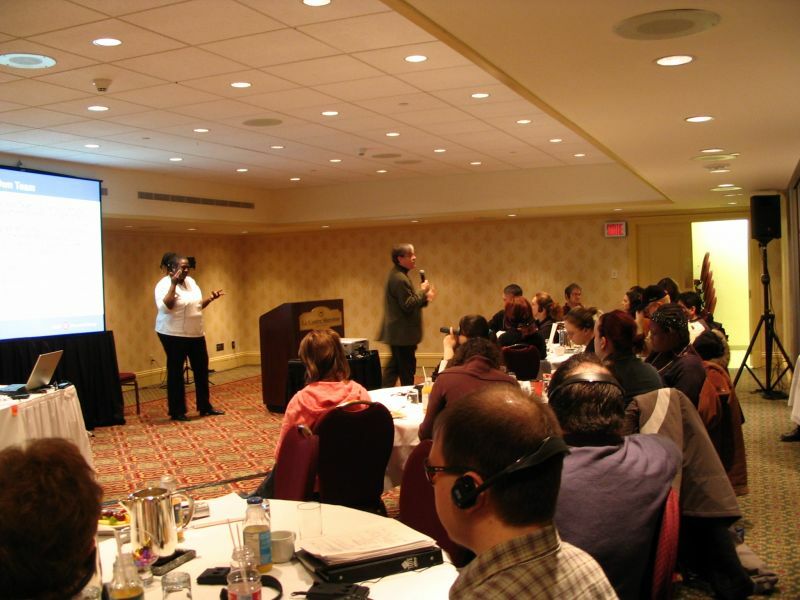 While the majority of presentations would be held in French, she noted that simultaneous translation and sign language interpretation services would be offered throughout the day and asked participants for their patience. She encouraged them to ask questions whenever necessary and urged them to make the most of the day by networking. Next, it was Paulo Monteagudo's turn to welcome the participants. He explained that, in addition to being the Québec representative for NEADS, he is also on the board of the Québec Association for Post-Secondary Students with Disabilities (QAPSD). He said that the majority of the work that the organizations do revolves around projects, and he invited participants to approach him or one of his colleagues during the day if they wanted more information. A high percentage of post-secondary graduates are capable of working, said Monteagudo, but they face various challenges; these challenges will be examined throughout the day, because they are problems that are common to most of the participants. In order to improve your chances of entering the workforce, you must find a level playing field. He added that, while there are many job fairs for people without disabilities, they are not generally accessible to those with disabilities, and there are no measures that are specifically designed for disabled people. He finished off by inviting attendees to take advantage of the day to build relationships and contacts so they can help one another in their job searches. Jennifer Dillon thanked Monteagudo as well as the Québec Association for Post-Secondary Students with Disabilities, and its director general, Serge Brassard. She mentioned that participants would have an opportunity to hear Brassard talk about the services offered by the QAPSD in the afternoon. In total, eight Job Search Strategy Forums will be organized. 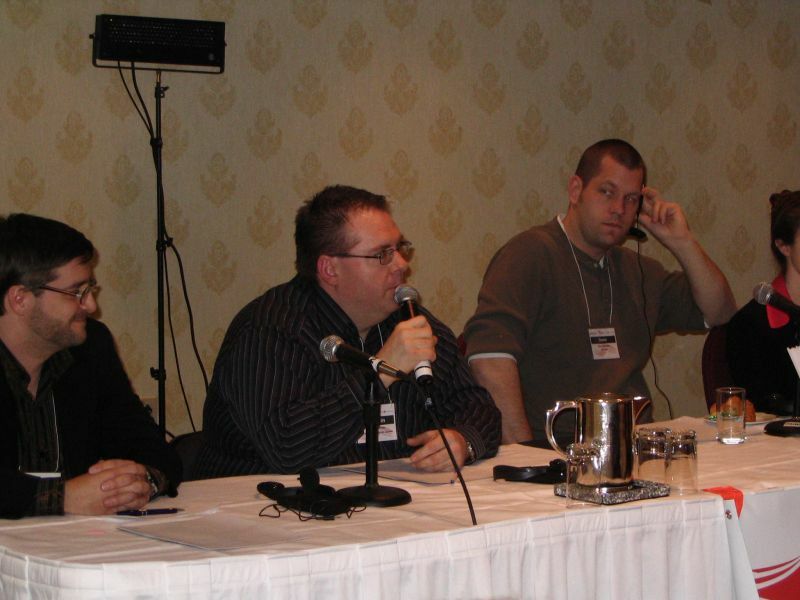 The first one was held in the fall of 2005 and the last one will take place in the spring of 2007. Three forums have already been held in Toronto, Edmonton and Victoria. The Montréal Forum is the fourth, and it will address job search strategies and techniques to help post-secondary students/graduates with disabilities succeed in the employment market. The project has been made possible with funding from the Equity Through Education Program of BMO Nesbitt Burns. Angèle Martineau welcomed the participants on behalf of BMO Nesbitt Burns. She explained that the goal of the Equity Through Education Program is to raise awareness about the difficulties that someone with limitations faces in getting a job. She quoted Margaret Mead: "Never doubt that a small group of thoughtful, committed people can change the world. Indeed, it is the only thing that ever has." This belief led BMO Nesbitt Burns to create a Diversity Council in 2002. BMO is committed to having sustainable business values set within a real framework in terms of the solutions, work and jobs offered, as well as the way companies work together with the community. BMO also encourages diversity, through diversified work that reflects society. The Board of Directors works collectively on diversity and every member of the organization has a role to play in making the work environment positive and equitable. 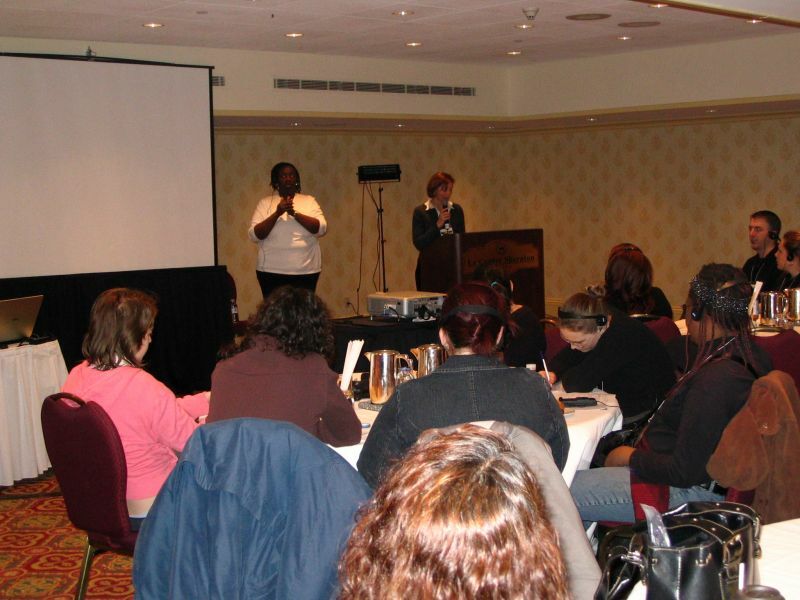 The Diversity Council was created to examine the barriers faced by women, Aboriginal people, members of visible minorities and people with disabilities. These barriers are nevertheless easy enough to break down by increasing awareness among managers. The company has a special fund for adaptive technology, workstations adaptation and sign language interpretation. Tools such as Jaws and Zoom Text are available for people with visual impairments, Kurzweil is provided to people with learning disabilities and Interpretype to people who are hard of hearing. In addition to removing physical barriers, they offer a mandatory training session on breaking down psychological barriers and changing preconceived notions about disabled people. It is an ongoing learning process. NEADS, for the forums designed to help students and graduates with disabilities make a successful transition between school and work. Quoting John Kennedy, Martineau said that, although we may not all have the same talents, we should all have the same opportunities. BMO has chosen good organizations and NEADS was a natural choice, because it paves the way for students with disabilities. BMO Nesbitt Burns is delighted to be part of this process and help with the transition. "Just as Margaret Mead wanted to change the world, we hope, within our organization, to be able to continue to collaborate and make a difference." 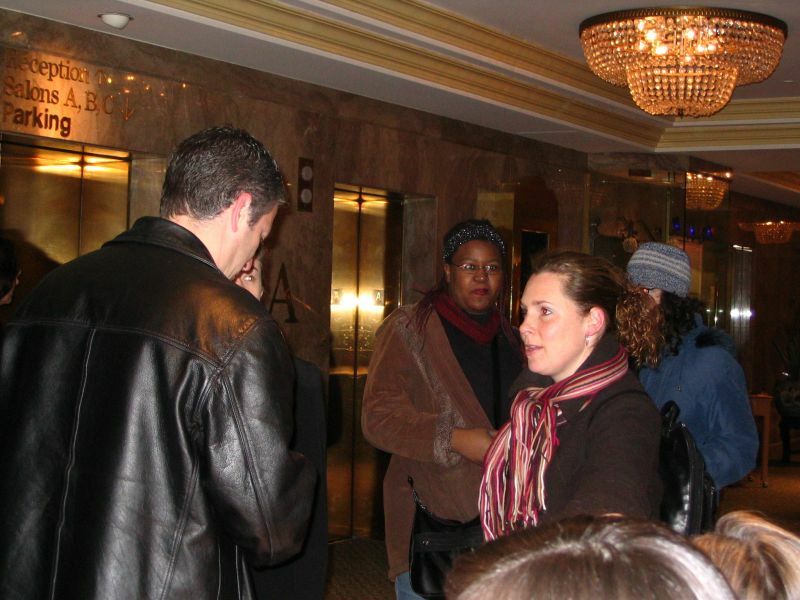 Martineau invited the participants to network with NEADS during the day. Your unique talents will help you, she concluded. Jennifer Dillon thanked Equity Through Education for their collaboration. She invited the participants to get involved, establish ties and build a network throughout the day, since the transition from school to the workforce is a very important stage, especially for students with disabilities. This forum offers an environment where everyone can ask questions and feel at ease, and it is important to be able to gather all the different points of view. After explaining how the day would unfold, Dillon announced that there would be a résumé clinic between 12:30 and 1:45 where participants could seek consultation and advice about their résumé. Because of the high number of students registered, each person will be given 15 minutes to meet with an advisor. 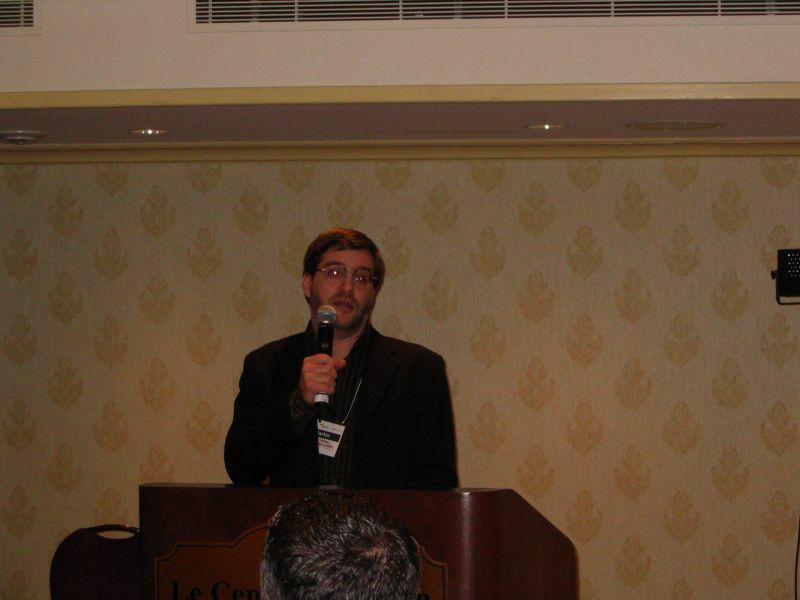 Stephen McDonnell began with an overview of his varied professional career. He has been working for BMO for 20 years and says he is proud of the efforts his company has made to help disabled people. He is also proud of the Equity Through Education program established by BMO Financial Group and its collaboration with NEADS. There are many organizations that tell disabled people what to do, but, according to him, NEADS is different. Driven by good values, BMO is very inclusive-all positions are open to everyone on its website. McDonnell recommended that participants look for words in job postings that convey good values, and seek out companies that emphasize diversity, "because you want to work in a place where respect rules and the diversity is a reflection of the community." That means an environment free from harassment and discrimination, that can provide access to technologies facilitating integration, and where a service animal would feel at ease. In 1992, BMO asked itself the following question: "Where are the people with disabilities?" There were Aboriginal people and members of visible minorities in the labour market, but no disabled people. It was a problem of perception: employers viewed accommodating as an impossible feat and thought certain types of work weren't suitable for people with disabilities. But, we quickly realized that it didn't cost that much to adapt workstations. McDonnell gave an example where BMO accommodated someone with narcolepsy. He suggested to participants that they pair up with people who have experience in the education sector, that they also network, and use the Internet and other traditional job search methods for landing a job. He proposed that they set up their own job search teams, with people they know in HR, teachers, friends, even people they don't like. He encouraged participants to review their résumés and conduct role-playing exercises to prepare for interviews and get feedback. McDonnell told participants they need to determine what parameters they could be comfortable with, talk about problems, and speak up about their reservations and limits. It is a good thing to talk with colleagues and tell them about your impairments. He told the story of a woman who started having an epileptic seizure at work. Since she hadn't told anyone about her problem, her colleagues didn't know what was happening to her, or consequently, how to help her. It is important that you inform at least one person, he said. McDonnell reiterated that participants need to be informed about companies, to find out their goals and values. It is important to know if they are governed by federal regulations, in which case they could be very interested in meeting people with disabilities. A certain number of provincial organizations are in the same situation. "Federal entrepreneurs will make sure that you are treated equally." It is important to find out their policies regarding the work environment, company culture, to make sure there isn't any legal action and to see how the company operates. McDonnell reminded everyone that a résumé is a tool that has to make an excellent impression. It shouldn't be too long, because a six- or seven-page résumé will not be read as thoroughly. Online résumés are very handy, because they can be updated on a regular basis. He also recommended mentioning volunteer activities and keeping in touch with teachers or former employees to get references. A résumé should be clear and concise, and provide all your relevant information. It should be written with a particular reader in mind and organized either in chronological or reverse chronological order without any mistakes or typos. It is also important to be clear and to highlight your skills. Do not include photos, stickers, or any mention of age or marital status. McDonnell talked about the interview next. He mentioned that it is perfectly fine for candidates to ask questions. "If the person is uncomfortable with your questions, ask yourself if that's a place where you'd like to work." You should also mention any special needs you might have for the interview -if you need an interpreter or a guide, for example. McDonnell made the point that interviews are not the place to talk about impairments, as employers only want to hire a candidate for their skills. You should always arrive at the interview well prepared, well dressed, and with extra copies of your résumé to make the best possible impression. Considering the matter of disclosure, McDonnell said you only need to ask about necessary accommodations, because the rest is personal. He encouraged participants to clearly indicate what they need, without being too polite or too modest, and to find out if there is a special fund for particular arrangements. You have to have what you need to do your work. Figuring out your career is a process, he pointed out. Play the game, go to interviews, keep your independence and do your work well, he suggested to participants. He also suggested finding a mentor and trying to change other peoples' perceptions. In conclusion, McDonnell told participants not to accept paternalism or to be seen as a source of inspiration, but rather to try to find work that is satisfying and not forget that people are hired for their skills. 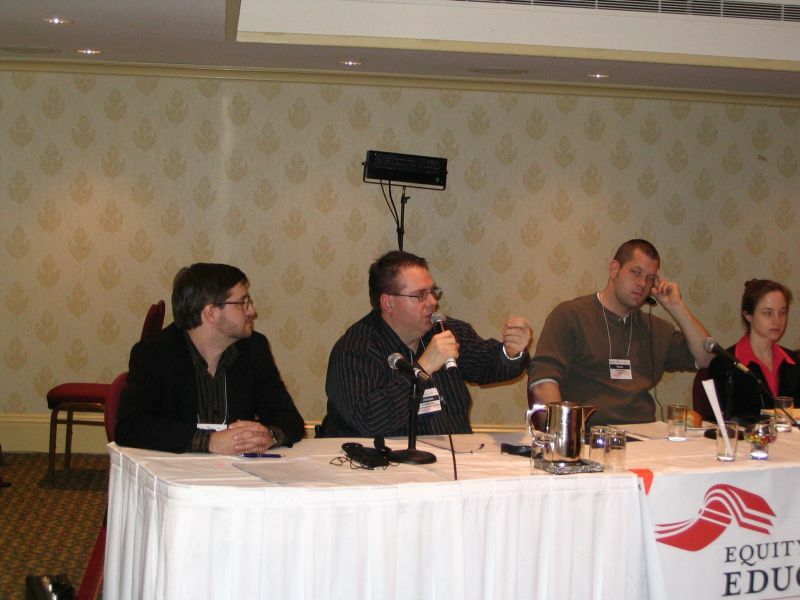 Martin Prévost briefly picked up the discussion that McDonnell had begun on values and the way people with disabilities are integrated into large corporations. He said it isn't necessary to limit oneself to large companies with these values-there are also small and medium-sized companies. It is true that companies under the federal charter always do a good job at helping a person with a disability integrate into a job. It is important for a disabled person to mention any accommodation requirements for the interview and afterward. Many people wonder when they should talk about their disabilities. The right time is when they are hired. Bringing their disabilities up any earlier could put candidates at a disadvantage. According to the two human rights charters, Prévost explained, employers are obligated to provide reasonable accommodation. The term "reasonable" encompasses almost everything, except if it would affect sales figures. The only cases where an employer is not under obligation to make accommodations are when employing a person with disabilities would cause him to lose money or put the health of the other employees in danger. Normally, large companies have funds available for making accommodations, Prévost said, but disabled people represent only a small percentage of hirings. SMEs rarely have such programs, but in that case, people can turn to an organization that offers employment services for disabled people. This organization will then present the employer with the best solutions for accommodating the employee, starting with the simplest ones. Prévost related the example of a worker with back problems who wanted to work for a machinery company. Following an evaluation, an ergonomist estimated the adaptation would cost $20,000, but the worker had another solution, and the employer ended up adapting the machine to accommodate the employee at a lower cost. Adapting tasks or the work schedule are often the simplest solutions, according to Prévost. You have to focus on everyone's strengths and limitations. He mentioned cases where a person has to use a special transportation service. That person needs to have a flexible schedule, and a possible solution might be to make up missed hours during lunch, which doesn't cost anybody anything. He also gave the example of a man who worked in a bakery. His machine was altered to operate the opposite way, and his workflow was reordered so he could meet his performance objective. Prévost continued his presentation with other accommodation experiences. He mentioned using technologies such as pagers for people who are hard of hearing and using low-cost materials, like a 2x4, to solve the problem of a desk that's too low. In some cases, accommodations and accessibility don't just benefit people with disabilities. Automatic doors at the supermarket help everyone and ramps are just as useful to a delivery person as to someone pushing a stroller-they aren't only useful to disabled people. Decent lighting is also good for everyone and anti-fatigue mats help prevent back problems for all. Similarly, lifting equipment installed for someone with back trouble was used by all of the employees for lifting a heavy ink roller and helped everyone avoid back problems. The important thing, Prévost said, is to use and focus on everyone's strengths, according to their interests and limits as well. Moreover, adapting tasks increases productivity. Achieving optimal performance is easier if the person's working conditions are optimal. Therefore, people shouldn't be shy about asking for a window or an office on the ground floor if that's what they need. He then spoke about the Emploi-Québec Employment Integration Program, as well as another program that is not advertised and not very well known. The latter offers up to $10,000 to workers with special needs. There is also Sphere Québec, which offers funding for accommodation, accessibility, salary and training. 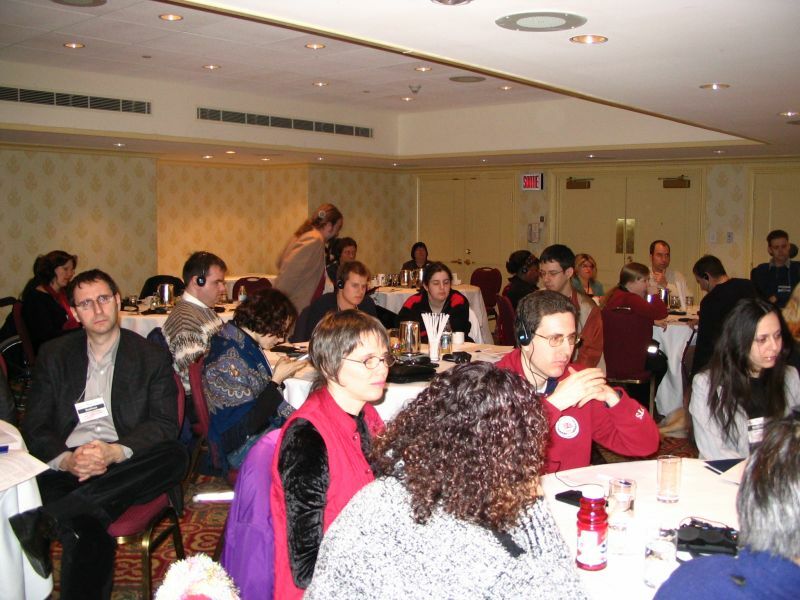 The "Work Integration Contract" (Contract d'intégration au travail) is another Emploi-Québec initiative for financing accommodation, accessibility, and also revenue shortfalls. We rarely talk about revenue shortfalls, he said. The employer wants to integrate technologies, etc., but if the person isn't as productive as everyone else, there is financing to compensate for this revenue shortfall. The program will finance a shortfall of 20% if a person is 80% productive. "Accommodations are just plain common sense," said Prévost. It isn't necessary to argue with your supervisor, but it is important to stand up for your rights. It's equally important to have support from your close friends and family, to have a team ready to help and to use the professional resources available in the community. It's up to the employer to show that there is no discrimination. Ghislain Bernier is an electronics assembler with Bell Helicopter Textron. Sixteen years ago, he was in an accident that left him disabled. He told the story of how he found his job at Bell Helicopter Textron. He said that when you're looking for a job, you have to tell as many people as possible that you're looking. "You reap what you sow." He mentioned that he followed Martin Prévost's advice and that assembling was in his blood, since he had been a mechanic before his accident. It was his father who saw the job posting in the paper and encouraged him to apply, which he did. In the interview, he noticed that he wasn't the only disabled person to be called in. To make himself stand out, he kept in touch with human resources after the interview. He recommends calling every three weeks. Companies often have an accommodation budget that comes under health and workplace safety. He encouraged participants to be assertive and convincing during the interview, because you have to stand out, and if you've made it that far, it's because you know you are capable. You also have to be able to offer something that no one else can offer. Then, once you have the job, it's also possible to climb the ladder, he continued. "I got in, and then I applied for other positions. I'm on my third. Sometimes you start off in a position that is more or less interesting, but you can continue by applying for other postings. Never give up or throw in the towel." One participant asked how to handle visual impairment and learning disabilities, particularly from the perspective of equity in education, and who you can turn to. Prévost responded with a question: "When is the right time to talk about a disability, or neurological or degenerative problem?" It is preferable after you've been hired. It isn't necessary to talk about accommodation needs before being hired either. On the other hand, if you don't say anything at the beginning-because you don't need anything at that moment-but you know you will eventually, you need to surround yourself with people who will fight for your rights. It's easier to fight for your rights when you're already established, and you've proven yourself, than to announce a problem right away when you're being hired, whether the problem is evident or not. What's more, employers know it's difficult to let an employee go. For more credibility, you need to know and keep abreast of your human rights, etc. He gave the reorientation example of a woman who had five herniated disks and was given an anti-fatigue mat. She hadn't said anything during her internship, but she should have, because she put her health in danger. Another participant directed her question to all the presenters, asking how to get employers to see a candidate's potential in a particular field where a certain level of productivity is required. She wanted to know how to get employers to focus on abilities and not disabilities. McDonnell answered that you have to see what is required in the job description. There might be accommodation tools that will help achieve the required productivity. It's important to specify that you have the skills they're looking for, and you could indicate, for example, what level of JAWS you can work with. As some companies have inclusion policies, it might be in your best interest to mention your disabilities because they have special programs and have to hire a certain number of disabled people, Prévost pointed out. However, no matter how wonderful inclusion policies might be, he added, you still have to be careful because they don't completely remove all potential roadblocks. He advised against mentioning familiarity with technologies used to compensate for certain disabilities. If the employer doesn't know what to do, if he doesn't have or doesn't know these technologies, it may make him lean toward another candidate. If you haven't done so in your résumé, the interview is the best time to mention your needs. It is good to confirm the interview by phone and, before ending the conversation, mention if you have an obvious disability, so the employer isn't caught off guard. Prévost gave the example of a woman who mentioned at the end of her phone confirmation that she was only 4'2'' tall. "I will not stand out," she said. A résumé, he repeated, should focus on the person's skills. In response to a question on how to approach the subject of adapting or accommodating in a positive and appropriate manner, McDonnell said that in his organization, the staff is trained to ask the question, "Do you need any kind of accommodation?" If no one asks you this question, you will have to say yourself that you need a particular type of accommodation for the interview. People in large companies are familiar with these technologies. Candidates should put the emphasis on the accommodations required rather than on the details of their disability. In terms of invisible disabilities, McDonnell gave the example of one of the most successful investment advisors at BMO who has learning disabilities. He uses every technology available and he indicated exactly what he needed. McDonnell also mentioned that you need to indicate your disability on the census that would be taking place in six weeks and reminded everyone that it was a confidential document. The census is important because it helps show that work can be performed despite certain disabilities. It also helps counter stereotypes. Prévost then encouraged participants to present their job applications in a constructive way. "I successfully completed my studies, therefore I am capable of doing the job. I may have limitations, but I've found ways of compensating for them. Here's the problem, and here's the solution. Now, I can do this. I am interested, and I am able to do it. I have the skill set, plain and simple." The employer needs a certain amount of awareness and information, and you should answer his questions. Bernier concurred. If candidates present their disability as a problem, the employer will also see it as a problem. He recommends speaking openly about the disability without trying to get pity. That way, 15 minutes in the interview, the employer may not even notice the disability anymore. Desirée Chaker, from the Learning Disabilities Association of Québec, is responsible for finding jobs in Québec. Despite apparent inclusion efforts, the reality is often something different, she said, and when candidates ask a question about accommodations, the reaction they get is often, "Why do you need that?" Such a reaction is illegal and inappropriate, McDonnell answered. He added that the majority of companies are absolutely ready to discuss accommodations, and people must be prepared to be more open to disabled individuals. A good strategy is to ask teachers for recommendations. Such a recommendation is one more indication that the candidate is competent. In response to a question about places where anglophones with learning disabilities can go, Prévost answered that it's a real problem. 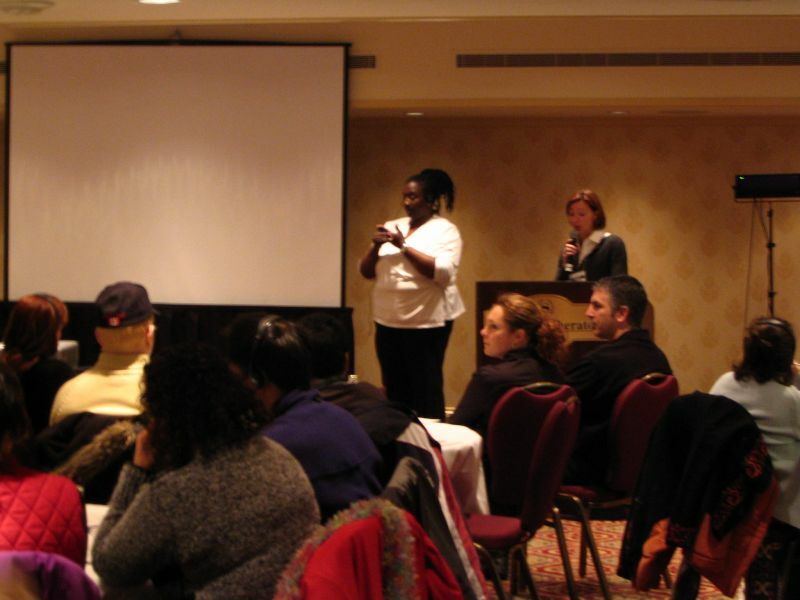 There is an association in Montréal that offers services to anglophones, but it is only for blind people. Sometimes in the large urban centres, services may be lacking specialized and competent bilingual staff. Chaker said the problem is that no one wants to take responsibility and Prévost indicated that he was glad someone was talking about it. It is important to draw attention to this problem so it can be dealt with. After being asked how to obtain the $10,000 offered by the Government of Québec that he had mentioned in his speech, Prévost replied that you have to contact your local employment centre (Emploi-Québec), but that the officers there are often not aware of this measure. Richard Legris is with CETECH, a unit of Emploi-Québec dedicated to understanding the labour market, employment, and high technology. CETECH conducts studies and analyses on these subjects in order to better understand career choices, promote good human resource management, and establish government policies. Legris spoke about employment prospects in Québec and what employers are looking for, in terms of jobs for graduates at the post-secondary, college and university levels. He started off by explaining that the Québec population is aging; the portion of the population over the age of 55 has increased significantly in the last few years, especially since 2002. According to research, this trend will continue, which will inevitably open up many jobs in the years to come; the baby boomers' jobs will become available to younger people. Currently, the unemployment rate is between 4% and 5%. Nevertheless, job growth should be in the order of 1.3% in the coming years: soon, approximately 250,000 new employees should be needed. The number of people retiring between 2005 and 2009 and the strong growth in economic activity forecasted for this period will result in the creation of between 78,000 and 91,000 new jobs. We will therefore experience an increasing demand in the workforce. In fact, some 680,000 jobs are expected to become available between 2005 and 2009, which will create significant openings for graduates with disabilities. However, according to Legris, there are two big problems. Employment rates in the manufacturing sector are stagnating because, among other things, of the high Canadian dollar. In addition, because of the softwood lumber dispute with the United States, especially, and the Coulombe Report, the forestry industry is undergoing restructuring and jobs in this industry are limited. Transportation equipment companies, like Bombardier or Pratt & Whitney, are also in a precarious situation. On the other hand, Legris said, we are noticing an increase in jobs in the health sector as well as in scientific, professional and technical industries. He mentioned that the unemployment rate is lower in professional and technical industries, and for people with a post-secondary diploma. Motivation: Bosses want to hire someone who is motivated. Disabled people who are up to attending a conference early on a Saturday morning, present company included, shouldn't have any problem with motivation, Legris observed. Trustworthiness: Bosses like to know they can count on their employees and they look for responsible people. Honesty: This is the number one quality that an employer looks for in a new hire. It is absolutely essential. Writing and communication skills: More and more, these two skills are definite assets for students looking for jobs. Being able to express oneself well orally and in writing is a definite advantage that should be mentioned in the résumé. It is very important to do work that you like, because that comes through in the quality of your work, Legris concluded. He strongly encouraged disabled students looking for work to visit the Emploi-Québec website, at: http://emploiQuébec.net. 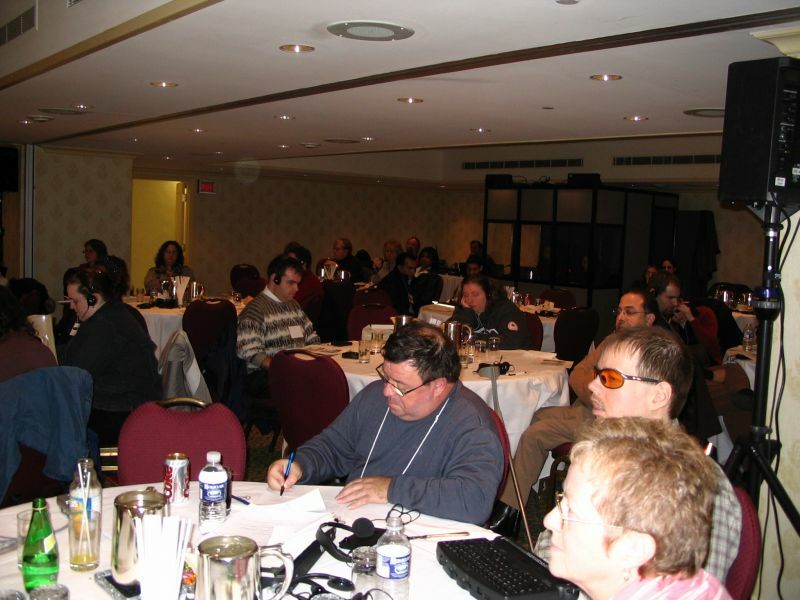 Frank Bouchard works for CAMO, an organization for disabled people that collaborates with associations of people with physical or mental disabilities, as well as with the labour movement and companies that specialize in workforce development. 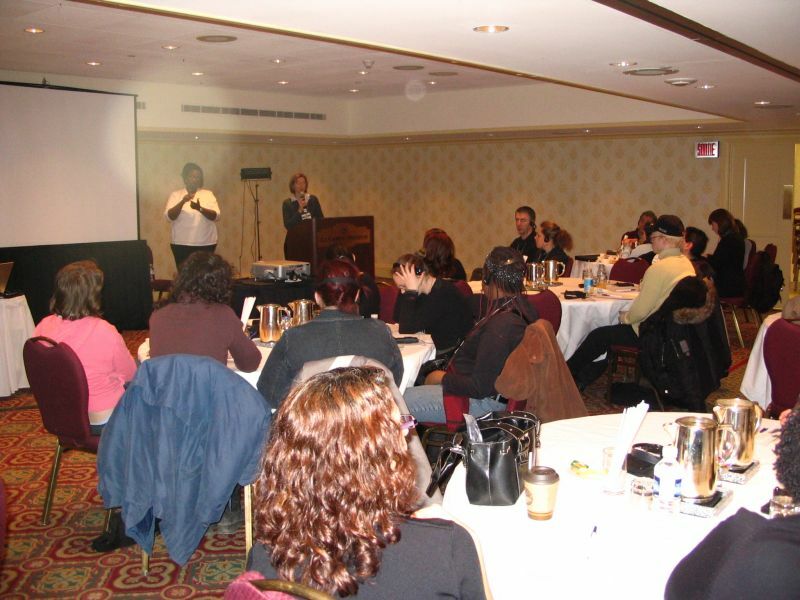 Its objective is to develop a strategy to help people with disabilities enter the workforce and stay employed. CAMO lobbies the federal government and the Government of Québec. 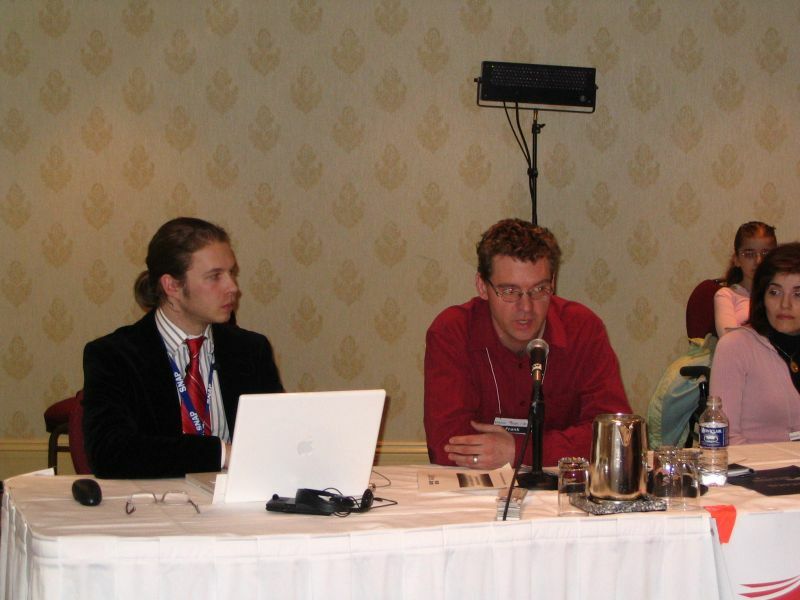 Bouchard analyzed the new changes made to the Act to Secure Handicapped Persons in the Exercise of their Rights with a View to Achieving Social, School and Workplace Integration, which was updated by the Government of Québec in 2006, as well as other laws that have implications for disabled people. The Employment Equity Act was created by the Government of Canada in 1986. It applies to companies under federal jurisdiction and federally regulated employers. Its objective is to ensure that these employers give women, Aboriginal people, members of visible minorities and disabled people equal access to jobs. It applies to 149 companies in Québec, including well-known companies like Bell Canada, Telus, Vidéotron, Canadian National, etc. These companies are interested in hiring people with disabilities. Therefore, disabled students should approach these employers, even more so since, so far, they haven't reached their hiring quotas for disabled people. The list of companies that are subject to this law can be found on the Government of Canada's department of Human Resources and Social Development website (HRSD). changes made to the Act to Secure Handicapped Persons in the Exercise of their Rights with a View to Achieving Social, School and Workplace Integration. Under this Act, public departments and organizations that employ at least 50 people will have to adopt an annual plan of action in which they identify the obstacles they face integrating disabled people into their areas of activity and the measures proposed to improve problematic situations (hiring obstacles, accessibility obstacles, etc.). These changes impact 151 organizations and departments. The Act Respecting Equal Access to Employment in Public Bodies: This Québec Government Act modifies the Charter of Human Rights and Freedoms. The Act, which came into effect in 2001, makes equal access mandatory in all public bodies with 100 or more employees (municipal and school organizations, organizations within the health and social services sector, colleges, universities, Hydro-Québec, Société des alcools, etc.). It impacts 616 organizations and was modified in 2005. According to Bouchard, this legislation gives a real boost to disabled people. Organizations that fall under this law must in effect analyze their workforce and hiring system to work toward achieving equal access. Bouchard sees this as a great hiring opportunity for disabled students. The department of Employment and Social Services is responsible for proposing an employment strategy for the Government to fully integrate disabled people into the job market. This strategy will probably be tabled in the fall of 2006, if there aren't any changes, Bouchard added. He also suggested that students looking for jobs go to the website for the Commission des droits de la personne et des droits de la jeunesse, that lists the 616 organizations affected. Hana Salaheddine, a single mother with two children who was diagnosed with multiple sclerosis ten years ago, delivered a message of hope and encouragement to disabled people having a difficult time finding a job. She works part-time. She explained that after several employment experiences she has finally found the right job for her with Action Medic, a medical supplies company. She explained that she first began working in a call centre for a large bank, she realized that this type of work didn't suit her, since there wasn't any contact with the public and that is what she likes most of all. Her job with Muscular Dystrophy Canada in Montréal was still not right for her, as she was much too sensitive to deal with the young children with this disability. Shortly after that, she was working in administration at a medical association when her daughter became ill. She had to quit her job because her employer didn't want her to work part-time. Although she didn't like her next job at an apartment rental agency, she said that she finally felt very happy in her current position. Salaheddine offered the following advice to disabled people who are having a hard time finding a job: "You have to find a job where you feel comfortable, a job where you get along with your employer, and a job where you're learning new things." She concluded her short presentation by giving some interview advice. In her opinion, when you're going for an interview, do not think of yourself as disabled, because then that's the only thing people will see in you. You need to dress well, and a positive and professional attitude is even more important. You also need to find out information about the company where you want to work so you can talk about the field knowledgeably. "Good luck and, no matter what, don't ever lose confidence in yourself," she said in conclusion. Michael Sanford, a consultant with NEADS, started off by reminding everyone that NEADS is an association that was founded in 1986 by a group of students from Carleton University, which is why the organization still has an office there. NEADS is a consumer-based association for people with many different types of disabilities. Sanford mentioned that this year is the twentieth anniversary of NEADS and the forum participants applauded the great news. One of the most important tasks of the organization is to help make employment more accessible to disabled students. Sanford then explained that NEADS has a board of directors composed of 12 people, and its members are disabled college and university students, as well as recent graduates of less than two years, along with professionals providing services on campus and many different types of employers (associations, NGOs, etc.). 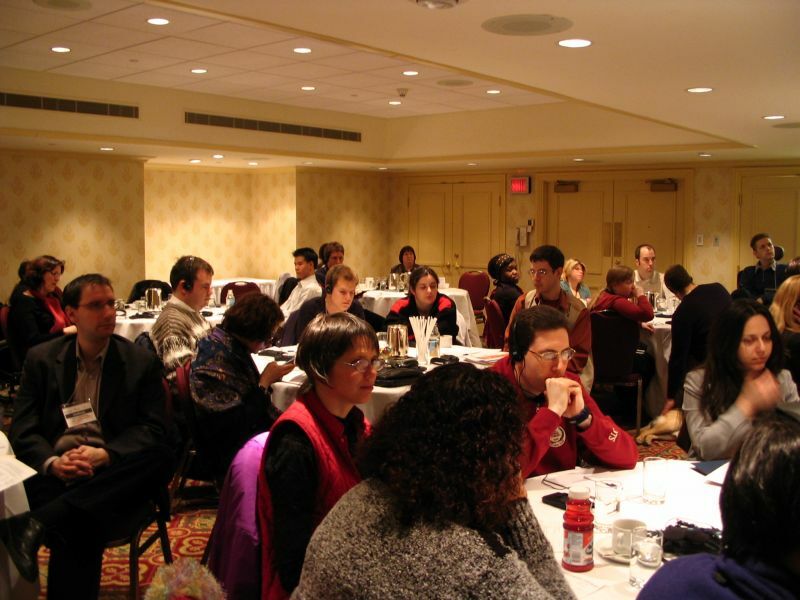 Its activities include research, promoting full access to academic materials, providing information about financial assistance and special funds, the association's website, the NEAD-L forum (which is an electronic listserv for disabled students and other people who have similar interests as NEADS), as well as the biannual national conference. In 1994, NEADS created the Employers' Advocacy Council (EAC) to NEADS with the aim of strengthening the relationship between employers and the association. 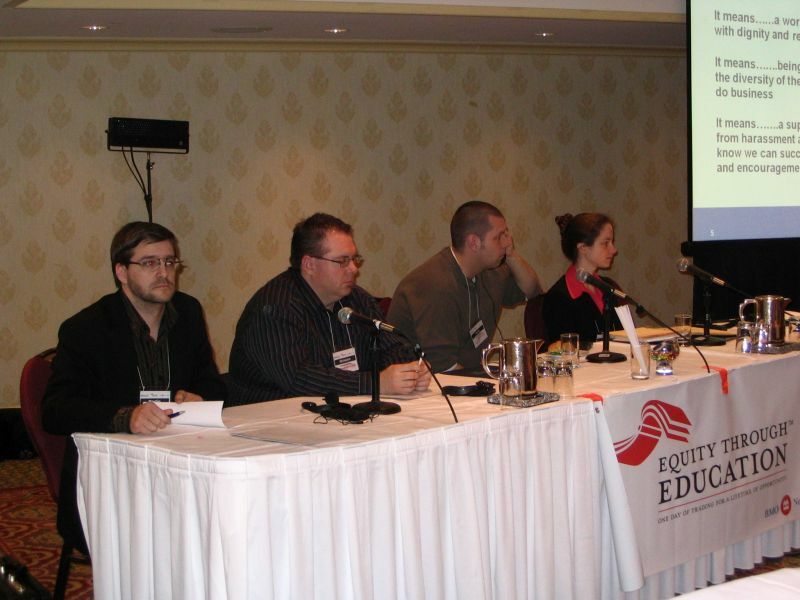 Two years later, in 1996, NEADS launched a mentoring program called Investing in the Future, to give students a mentoring experience through the Employers' Advocacy Council (EAC) and member employers. Students who participate in the program get the opportunity to use their knowledge and skills in a work environment. 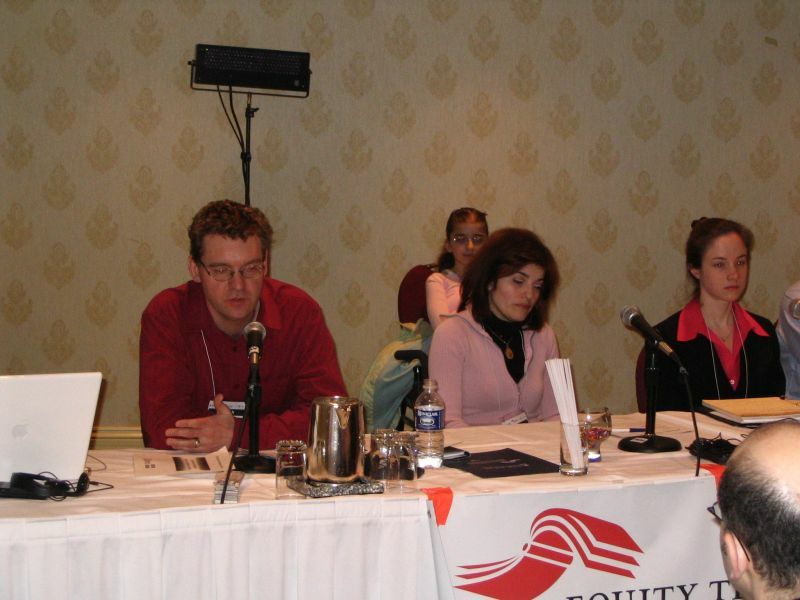 In 2001, Sanford continued, NEADS created forums on leadership and employment for disabled students. 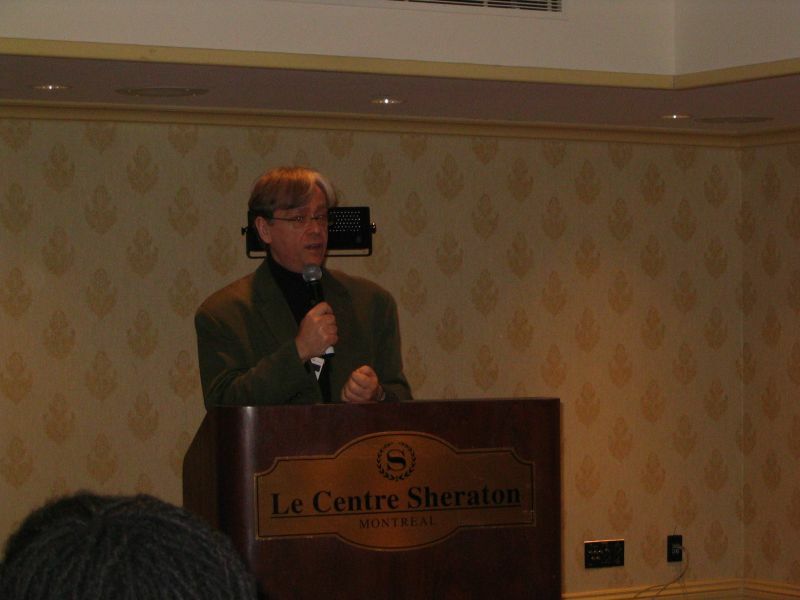 He then spoke briefly about the association's publications, giving as examples Employment Connections: A Transition Tool Kit for Youth with Disabilities (August 2002) and Access to Success: A Guide for Employers (December 2003), two publications available to everybody online on the NEADS website. They are designed to help graduates find jobs and to help employers hire them. NOWS www.nows.ca , the NEADS job system, is a bilingual tool that is online and free. It allows employers to post, online, job openings for students with disabilities. It also lets disabled post-secondary students and graduates post their skills (they can include their résumé) for employers to see. Students can also post on the website a description of the type of job they're looking for. A participant asked for statistics on disabled people, since Legris didn't really talk about them in his presentation. Legris responded that the Government of Québec doesn't really have a lot of data on disabled people, and they should refer to Statistics Canada for that type of information. He said that in preparing this presentation he has realized a need for research on this subject. 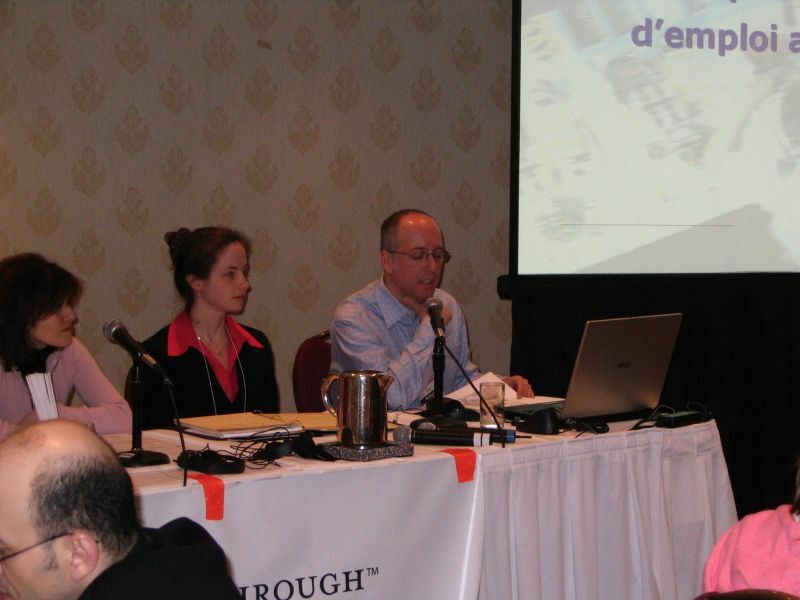 Bouchard explained that the only data available on the subject comes from two surveys done by the Québec Institute of Statistics: a health and wellbeing survey (l'Enquête sociale et de santé, ESS, 1998) and an activity limitation survey (l'Enquête québécoise sur les limitations d'activités, EQLA, 1998). He added that Statistics Canada's 1996 Census also includes some data on disabled people. However, these studies use the concept of "disability" to evaluate the number of disabled people and, consequently, they don't really reveal "impairments," which doesn't give an accurate calculation of the "disabled people" category. Bouchard acknowledged that there are few statistics on disabled people and the ones that do exist are fairly old. There is a real need in this area. The 2001 Census indicated, for example, a drop in the number of disabled people in Québec, which is completely wrong, as the Government quickly recognized. There are a lot of gaps in our statistics on disabled people, he concluded. Another participant told Legris that he had read an article the night before that said local Employment Centres would be promoting disabled people for jobs. He asked if it was true. Given that Legris isn't directly involved in the field himself, he didn't feel qualified to answer. Emploi-Québec is a local Employment Centre, Bouchard said. Their role is to examine the needs of every disabled person who comes into their office and determine how they can help them. Emploi-Québec should therefore be able to find whatever measures and programs there are that could help his clients, and if not, its representatives should be able to direct them to another service. In response to a question about the percentage of disabled university graduates who find jobs, Bouchard said he didn't remember exactly, but CAMO has data on the subject. According to him, approximately 2,500 university students have physical or other disabilities. But the number is most likely higher, he added, because the data only takes into account the disabled people who used the university's specialized services. According to 1991 data, between 1% and 7% of university students have disabilities, he said. But in his opinion, these statistics would have doubled by now, reaching approximately 8% to 10%. Bouchard finished by inviting participants to go to the CAMO website to see all the data. Do disabled students graduating from university normally get jobs requiring a university degree, a participant asked. Legris responded by saying that, obviously, a university degree doesn't guarantee a good job, but it does increase your chances of getting a job. Given that the baby boomers will soon be retiring, he said, there should be many more people leaving the workforce than entering between 2011 and 2012. Bouchard said that CAMO carried out a detailed survey on the subject. It is interesting to note that 80% of people find a job in their area of study, he said. It doesn't seem to have anything to do with being disabled or not. Legris confirmed that it seemed to have more to do with the level of studies. Monteagudo indicated that NEADS does have statistics on the subject and said he would pass them on after the conference. Sanford mentioned that, when he had checked the night before, there were 1,015 students registered with NOWS, including 147 from Québec, and there are now 55 employers from 14 different industries across all of Canada who are registered. The areas in which registered students are looking for work include the government, administrative services, customer services, food service, sales, and retail services. A participant asked Salaheddine how to help someone who has completely lost her confidence; she mentioned one of her friends who has been receiving social assistance for more than two years and asked how she could help her. Salaheddine suggested proposing specific resources. In response to a question about what training is available for dyslexic people like herself and about Emploi-Québec's inability to deal with this type of problem, Bouchard responded that, unfortunately, learning disabilities are not included in the services they offer. "Dyslexics tend to be forgotten and they are not considered disabled in the sense of the law. You are invisible when you are dyslexic! There's a lot of work that needs to be done in this regard!" A participant with an attention disorder shared her feelings of helplessness, because the disorder is not a recognized disability in Québec. Many of her friends with the same problem have even advised her not to disclose her disorder. She asked the audience how to get solidarity so that the people afflicted can integrate into the workforce. "I'm a little discouraged!" She explained that she can't find any organization that can help her. Bouchard advised her to contact the Commission des droits de la personne et des droits de la jeunesse and to see him after the conference, reassuring her that he will try to find a solution to her problem. Serge Brassard said he was happy to have been involved with this conference organized by NEADS in association with BMO Nesbitt Burns. "We saw today the difficulties that disabled students are up against, but we can't stop there; we have to discover new ways of finding jobs," he said. He encouraged the participants to continue working on getting recognition since, in his opinion, students have appropriately demonstrated to government representatives, over the course of the day, that government needs to be more committed to disabled students. Jennison Asuncion thanked the participants for the work accomplished at the conference. He gave special thanks to Jennifer Dillon for presenting the speakers. He reminded everyone that Forums are taking place across the country, to help students and graduates succeed in the job market. He explained the evaluation process and mentioned, "We have to constantly think about improving ourselves. Thank you for coming on a Saturday, we really appreciate it. You are all invited to our next conference in November," he concluded. Paulo Monteagudo reminded everyone that a conference like this represents a unique opportunity to network. He speaks from experience, he said. He mentioned the NEADS MuchMore Music AccessAbility Scholarship that gives funding to students pursuing studies in the media industry and encouraged students to look into it. In conclusion, he thanked everyone for their participation and said he hoped they would have a chance to do it again in the future. Jennifer Dillon urged participants to develop a winning team. "It's better to get help than to try and manage on your own." Since it is difficult to find a job, she encouraged students to keep a positive attitude during interviews and reminded everyone that it is essential to know one's rights and skills. It's also helpful to know yourself well and not be afraid to say what you need. In conclusion, Dillon encouraged participants not to get discouraged when they have trouble finding a job: "There are always other solutions to explore." She thanked the speakers and the many participants for their contribution. The following are resize photos optimized for online viewing. Click to enlarge. For higher resolution files, please contact us.